Her winning dress/vest designs just went on sale for SJP’s Bitten line at Steve & Barry’s before Thanksgiving–snap ‘em up while they’re hot! 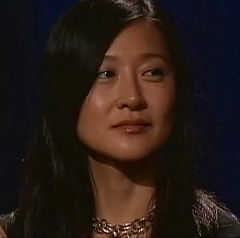 And more importantly, let’s just acknowledge… we’ve been rooting for homegirl all along. Known for: being the badassest character on the bitchinest new one-hour this season, Bionic Woman, rocking a pony (usually a DISGRASIAN no-no) and looking fierce, a memorable turn as an epileptic thief and killer on the woefully short-lived series Thief, being a Bond villain and one of People‘s 50 Sexiest, blowing away television stereotypes of Asian men by not being mute, and by speaking English, having complex relationships, and boning chicks. Oh, and Lee is an accomplished martial artist, too, so he can kick all of our asses. 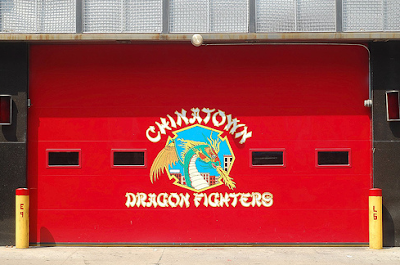 Known for: becoming the first Asian-American fire marshal in FDNY history, serving with New York’s Finest and New York’s Bravest, holdin’ it down in Chinatown with Engine Company 9, Ladder Company 6, aka the Dragon Fighters, and, of course, fightin’ fires. We can’t for the life of us find a picture of Fire Marshal Wong, but we’re going to assume that he is, like most firefighters, extremely hot.